A bowl full of morrel mushrooms, originally uploaded by lesleyraez. A successful day of mushroom hunting. These morel mushrooms were found in Stillwater. 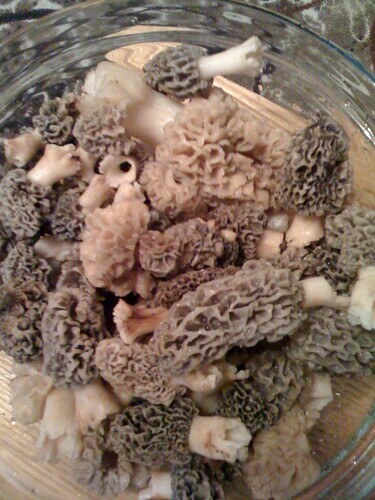 Morel mushrooms are really tasty but hard to find. They only appear in Oklahoma for a period of about 2 weeks. They are often used in gourmet dishes in France but are also really good battered and fried.